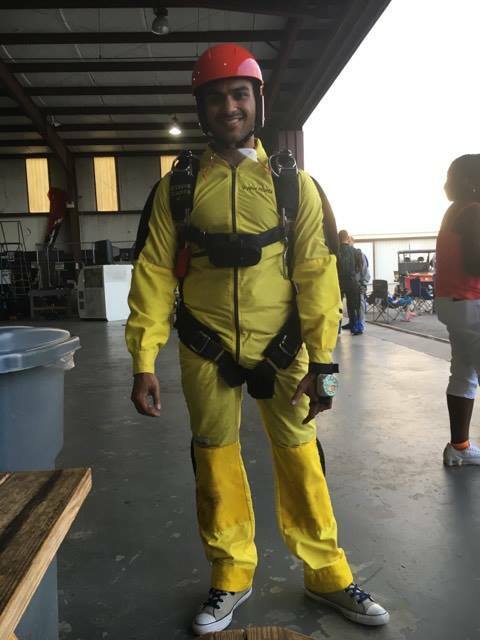 Vaibhav Kumar : Life In the Sky! Aviation and the Aerospace Industry means the world to me. This is a collection of my most humbling/inspiring/adrenaline-pumped moments as a Pilot and an Aerospace Engineer. 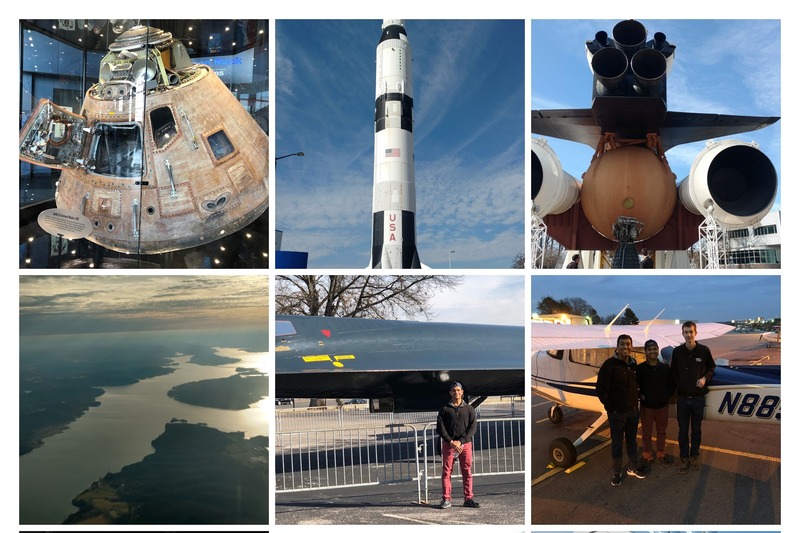 I love sharing my love for aerospace, aviation and skydiving and I hope you like this collection of my most memorable moments. If this inspires you to get your private or go to school to get a degree in Aerospace Engineering, I'll consider my Mission Accomplished! 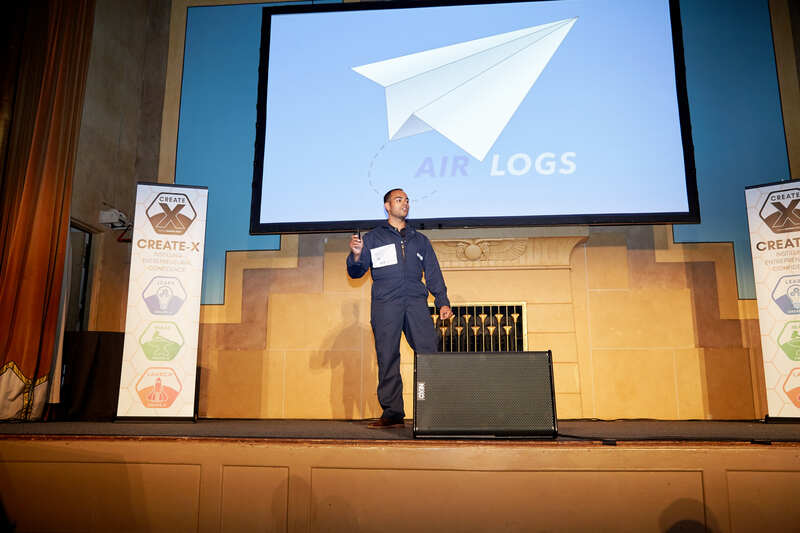 As the lead founder of AirLogs, I had the priviledge of pitching our idea and progress at Create-X Demo Day on August 23rd, 2018. AirLogs is a single click software solution for aircraft maintenance logbook research. For the 400,000 general aviation airplanes on the planet, AirLogs will save mechanics $130m an year in labor costs. Finally! After years and years of planning and yearning, I finally made it to Airventure. Airventure Oshkosh 2018 was beyond any of my wildest dreams and I am at a loss of words. You have to go experience it yourself! I recommend going for atleast 4-5 days and if you are flying into KOSH, arrive during the weekend or after Wednesday. I spent 4 full days at Oshkosh, attended both the night shows, camped with 10,000 of my greatest friends, saw the airshow from Airbus's private booth and had an absolutely amazing time. 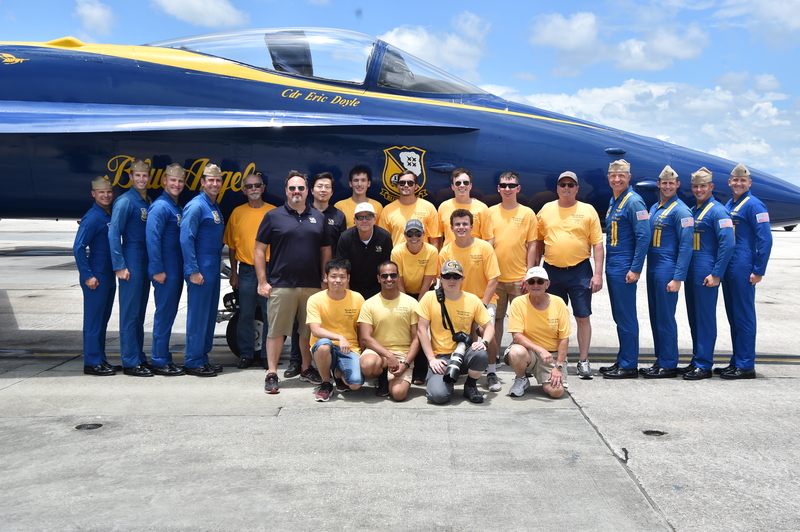 On July 5th, 2018, The Yellow Jacket Flying Club flew 3 club airplanes and Elliot Borenstein's Baron down to Pensacola to see the Blue Angels! Todd Royles, former Blue Angel #8, gave us a personal tour of the museum and walked us through the Blue Angels demonstration flight.Meeting with the Angels was by far one of the best aviation trips I have ever made. Camping at Sun 'n Fun 2018! This year, I finally attended Sun n Fun 2018, one of the biggest Fly-In and Aviation Expo in the world. 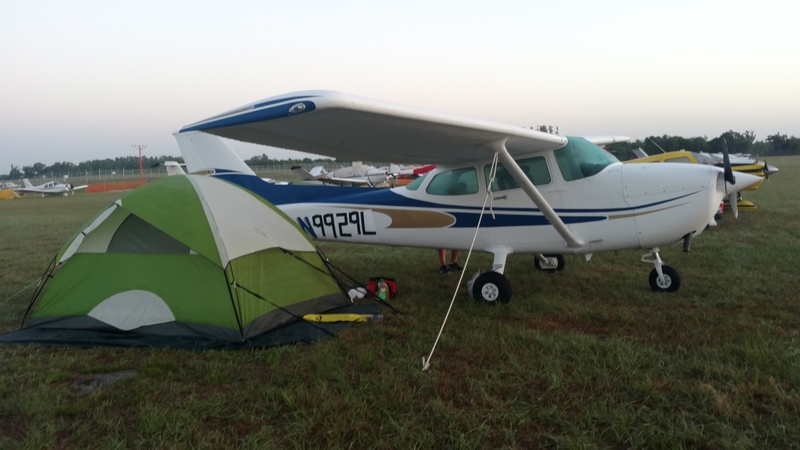 I, along with two friends, flew a Cessna 172 from Atlanta,GA to Lakeland, FL and camped on the field from Apr 13-14. 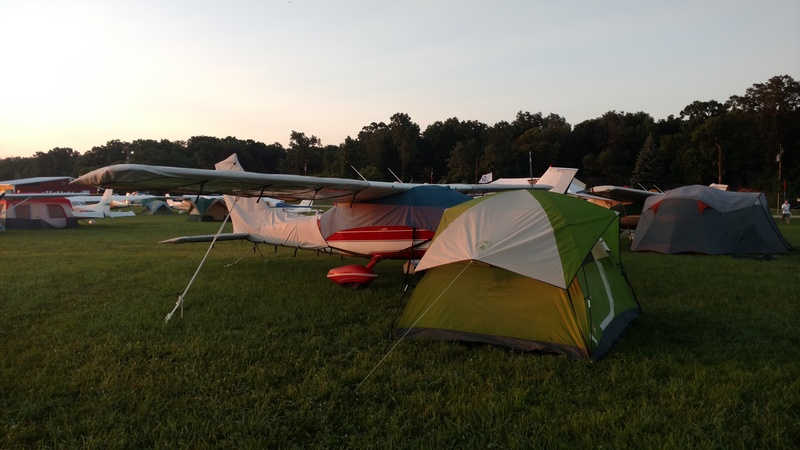 Attending Sun n Fun was a bucket list item and I am excited to start planning my trip to Airventure 2018 this July! The next big thing for the aviation industry is autonomous flight ,including autonomous consumer drones and autonomous VTOL air taxis. To be a better engineer in an era where VTOL flight is on the boom, I have decided to pursue a rotorcraft add-on to my pilot license. Glad to join life in Ground Effect! 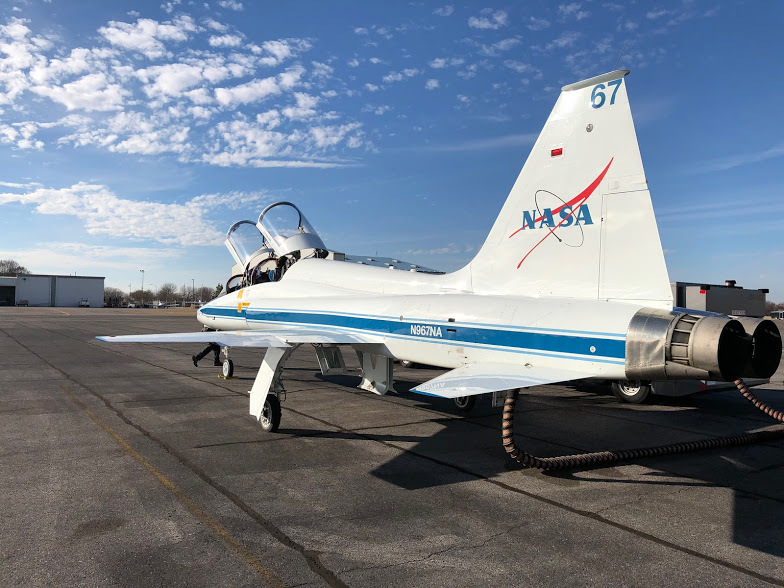 VIP Parking Spot : Pulled up Next to a NASA T38! Signature at Huntsville International charged us $6.5+ per gallon for gas which is pretty pricey, but they got Brownie points for parking us right next to a NASA T38 Talon. On the way out, we got to meet with the astronauts training on the T38. This is the magic of GA! Best way to take a day off Sponsored Work : Take a Day trip with AE students to the US Space and Rocket Museum! 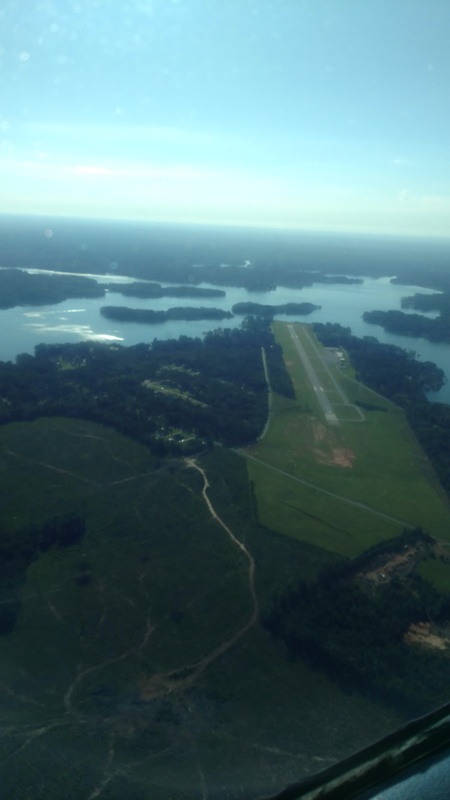 I flew 5GT, a 115kt Cessna 172, into a Class C airport, Huntsville International Airport. 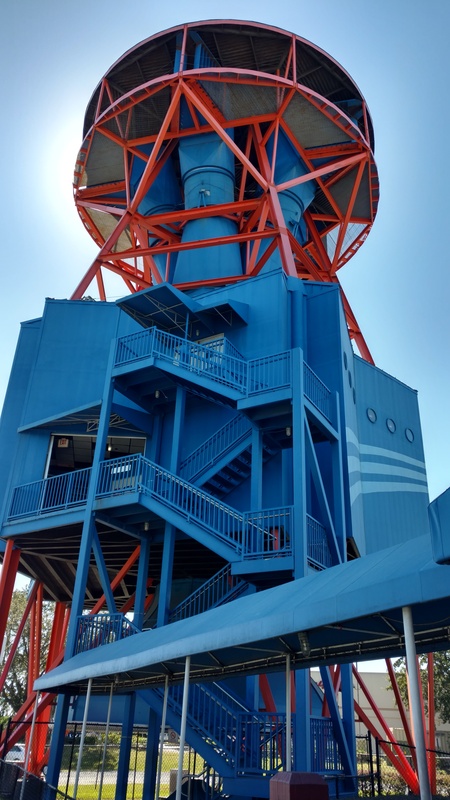 We spent the day at the US Space and Rocket Museum. One of my best $100 trips ever. 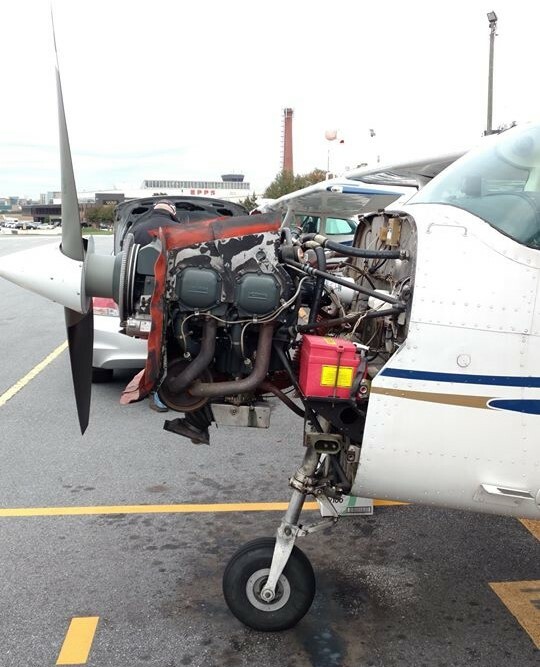 As a Private Pilot, I am now authorized to sign-off on certain maintenance items under 14CFR Part 43. As the new crewchief of 314GT, I will be responsible for all maintenance and inspections for the airplane. Preventive maintenance as well as the volunteer work I am doing with Skybound counts towards my 14 CFR 65.77 requirements to get an Airframe & Powerplant mechanic certification. Nothing is more fun to a novice pilot than taking friends flying. Callaway Gardens at KPIM have the best biscuits in the South. Highly recommended. Thanks to Sunit, Lars and Arun for joining me on this trip over Atlanta Class Bravo. On October 18, 2017, right before my FAA Practical Test, The 160HP Lycoming O-320-D1 on 314GT started vibrating at 200AGL during climbout off Rwy 9. RPM was down to 2100, Pressure and Temperture were in the Green. Vertical Rate of Climb read 100FPM and was falling. I instantly started a shallow turn and set myself on a tight base for 5-13 (the intersecting runway to 9-27). On landing, the engine failed a run-up test and showed a 400 drop in RPM on the right mag. 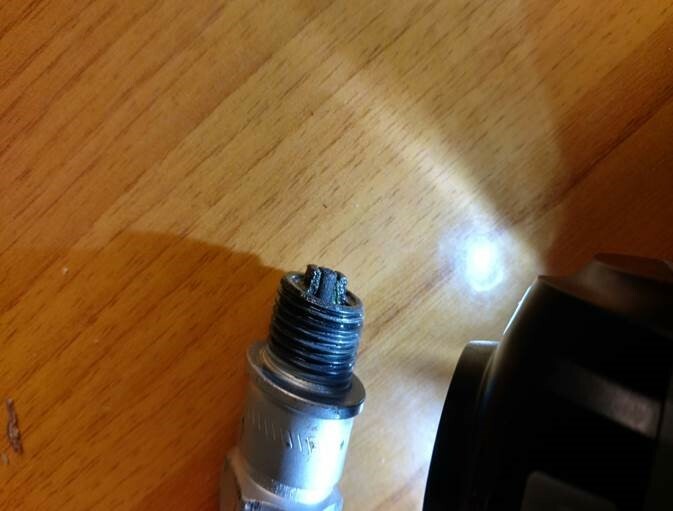 A sparkplug fouled with a foreign rubber type filament was found to be the culprit. 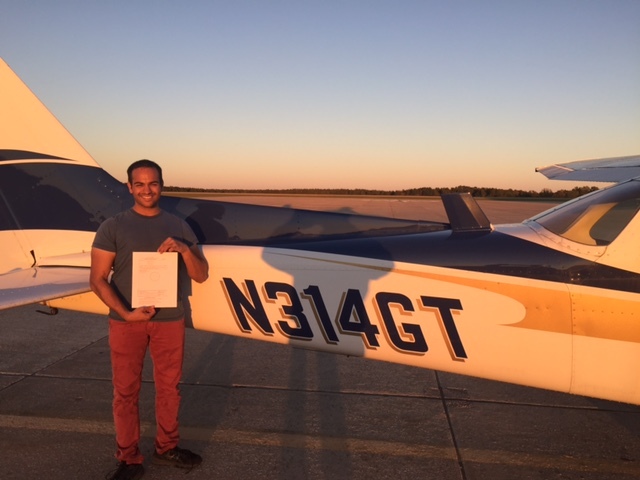 On October 18, 2017, I passed my FAA Oral and Practical Test and officially earned my wings! $100 Hamburger Series : First Total Solar Eclipse! 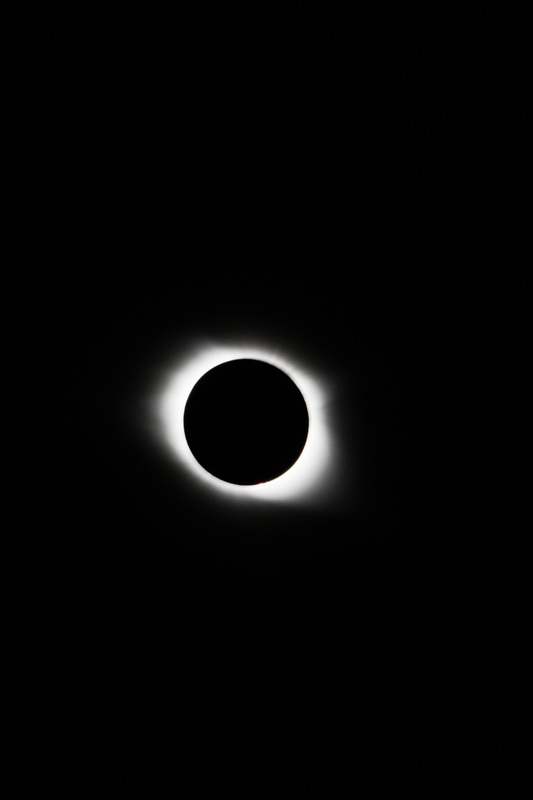 On August 21st, 2017, I flew with a group of friends to KCEU to witness the first Total Solar Eclipse of my life. Close to 100 airplanes: from a Cessna 150 to a Gulfstream G450 descended down onto Oconee County to witness the total eclipse. First Flight on a PT-17 Stearman! On August 22nd 2017, I flew the Stearman! She was the most beautiful airplane I have ever flown. Many young men became ruthless warriors training on the stearman during the world war II. She's a little hard to fly: the nose is not visible so your sight picture is off the strut. Landing the stearman requires chopping the power and,well,falling like a brick. 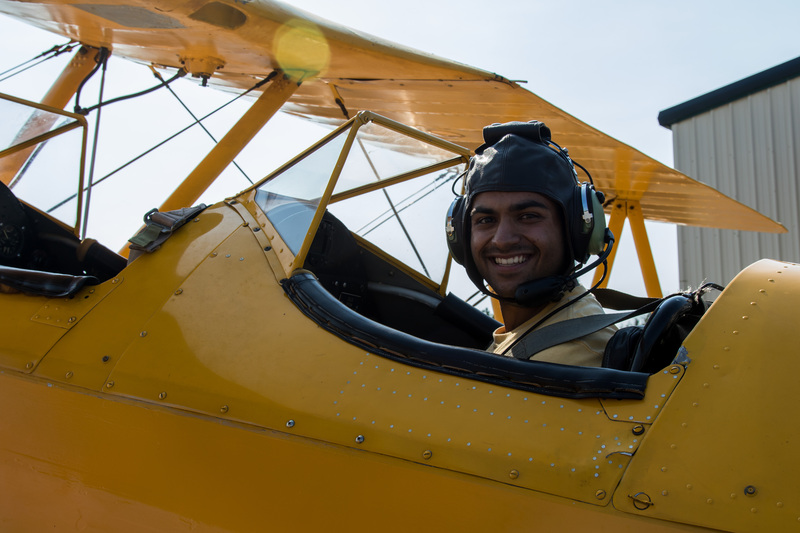 Flying the stearman is a childhood dream come true. I am forever indebted to David Twibell for introducing me to Dan and making this happen. Next up: the Luscombe! 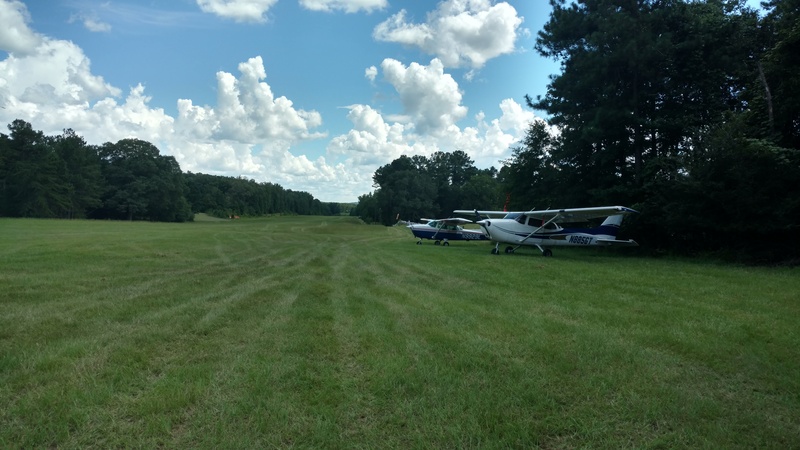 On July 19th 2017, I flew up to PeachState (GA-2) from Meadowlark(GA-75) for some delicious chicken at Barnstormer's grill and grassfield landing practice. 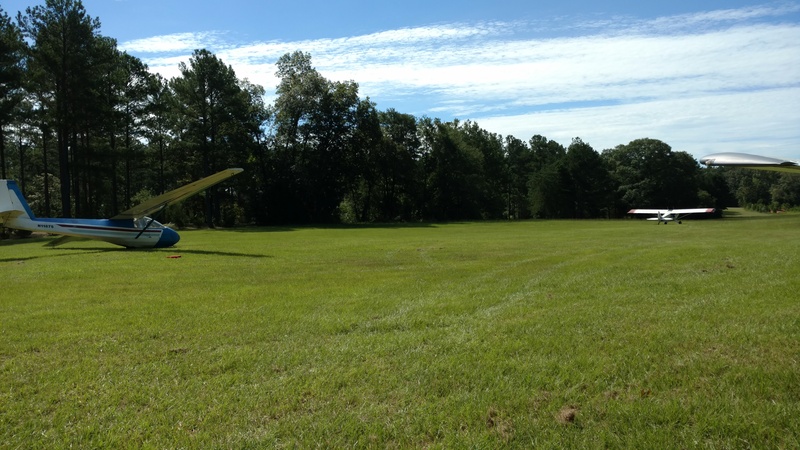 Special thanks to David Twibell for introducting me to Peachstate and grass field landings. 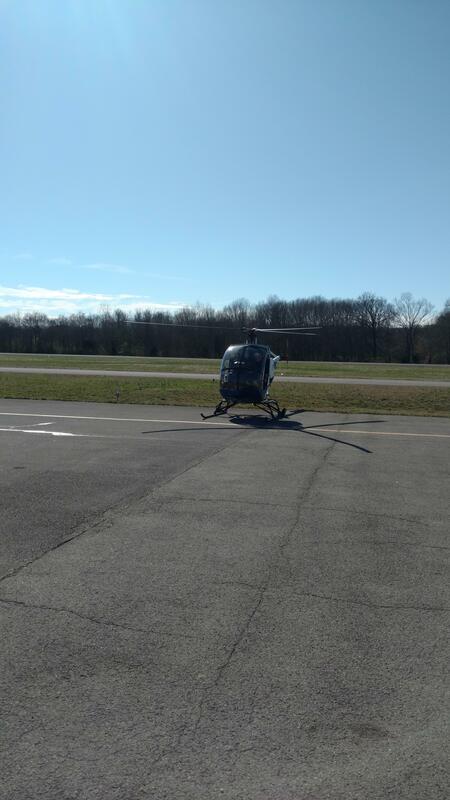 First Long Solo XC and Inflight Emergency! 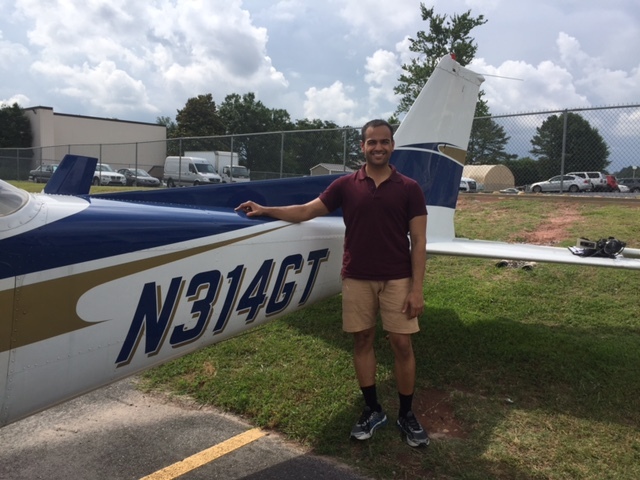 On July 14th 2017, I flew my first solo XC to Milledgeville (KMLJ). I flew my final approach over the gorgeous lake for Runway 10. On the way back, I lost my engine for 10-12 seconds. I was at 3500AGL and was able to follow my training perfectly and recover the engine. I diverted to another airport, 52A, circled the strip for five minutes making sure the engine is still stable and then continued to KPDK. 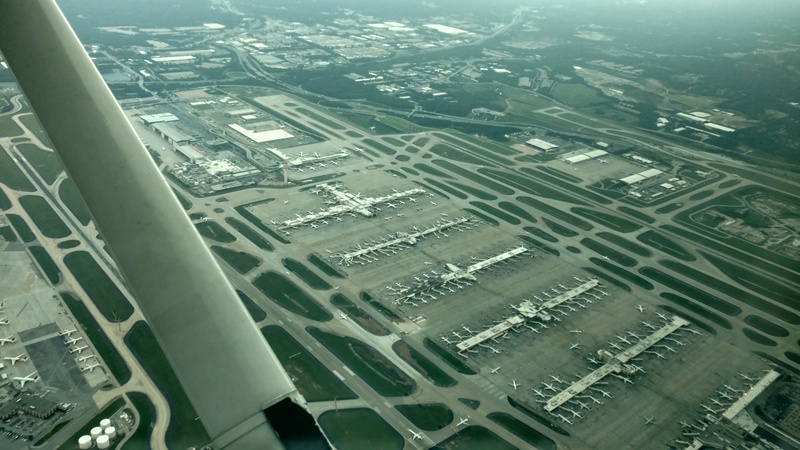 On June 7th 2017, I flew over Hartsfield Jackson's highly restricted Class Bravo airspace for the first time. I felt so out of place talking to Approach control next to ATPs with 1000s of hours of Total Time but I sounded like a pro on the radios. Thank you, John Post, for endorsing me to fly over class Bravo. 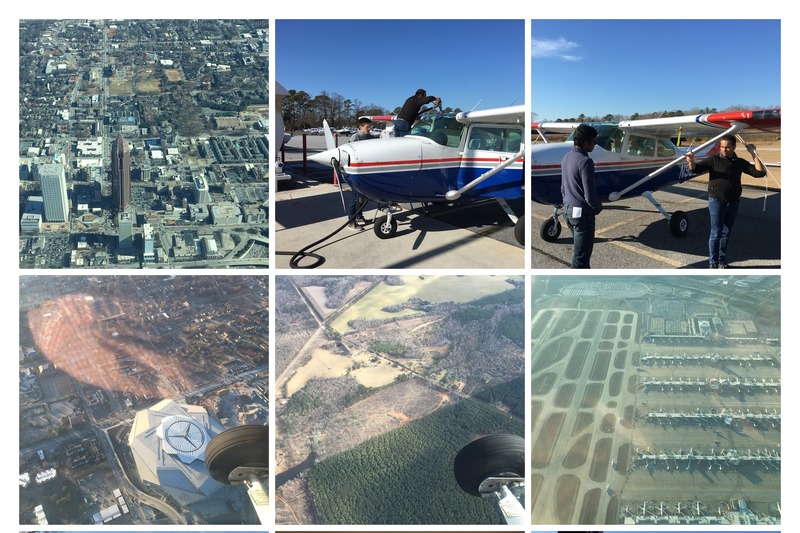 On May 22nd 2017, I soloed in N314GT,a Cessna 172, at Gwinnett County (KLZU). I did 3 T/Gs on runway 25. Ceiling was low(still VFR) but the wind was only 5-6 kts out of 220. The solo was unexpected as I hadn't had my stage check with the club CFI yet (Club policy not a legal requirement) but John didnt wanna ruin my "Perfect Flare" streak. 3 landings were Greasy, the last one was a little flat! I need to buy a new shirt but it was so worth logging my first entry as PIC! Took an overnight bus to Orlando for my first tunnel session! I'm not a good skydiver: my body is too stiff in Freefall and I needed some tunnel time. On October 2016, I flew down to Robbins AFB, with David Twibell as the Pilot in Command, to attend Thunder over Georgia 2016. I was extremely humbled to see the thunderbirds in action. 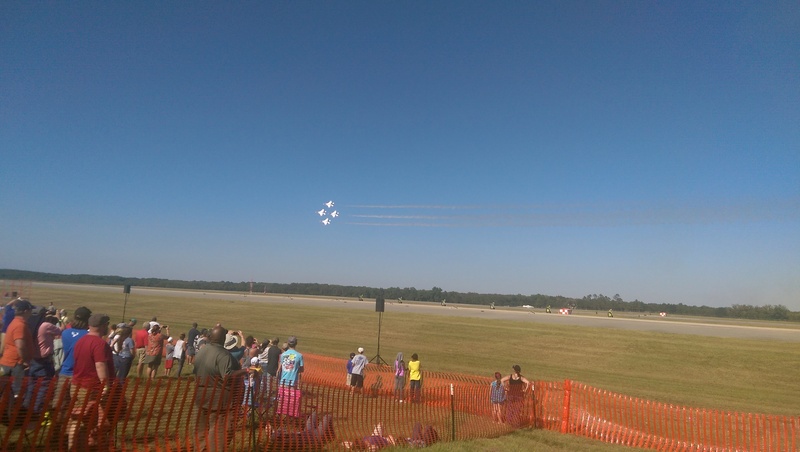 A shout out to all performers at the Air show for inspiring another generation of aviators. September 3rd 2016, I jumped from a Perfectly good Airplane (I actually preflighted the Twin Otter I jumped from!). 14000ft to 5500ft in 60 seconds. I decided to skip a Tandem jump and go straight to AFF to get to my USPA A license. Arch Arch Arch! 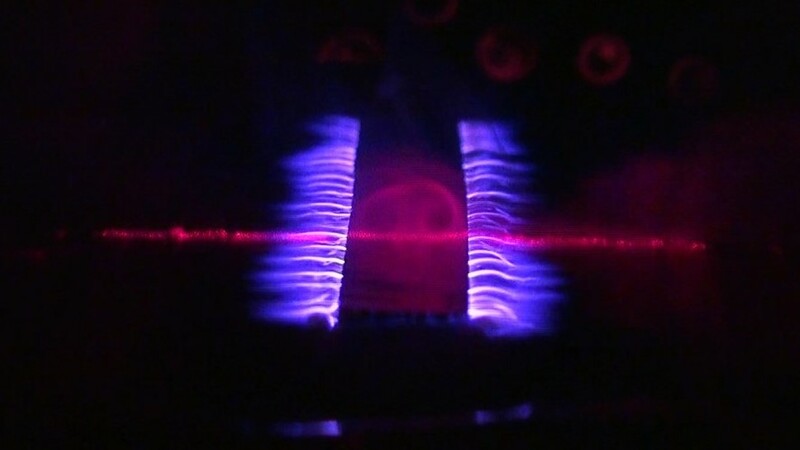 Plasma Flow Control is the future of active control of flow. 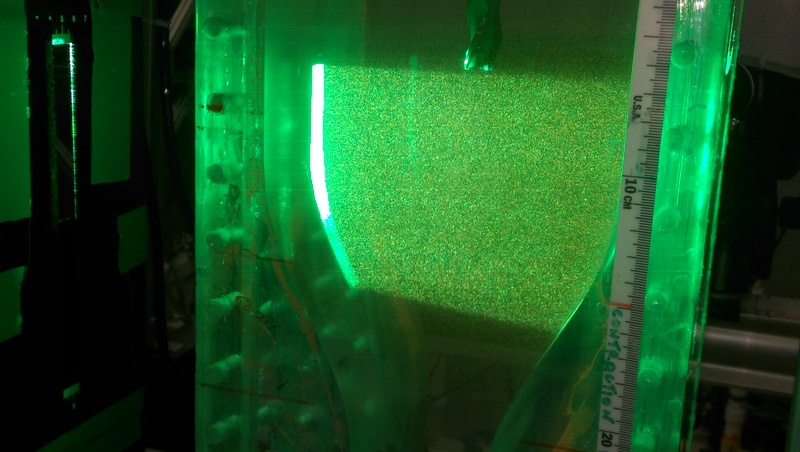 During 2015-2016, I developed plasma actuators to control tail buffetting on the F-22. These actuators create counter-rotating vortices that are out-of-phase with Goertler vortices charachterstic of narrow-band tail buffetting observed on highly manueverable delta wings at high angle of attack. 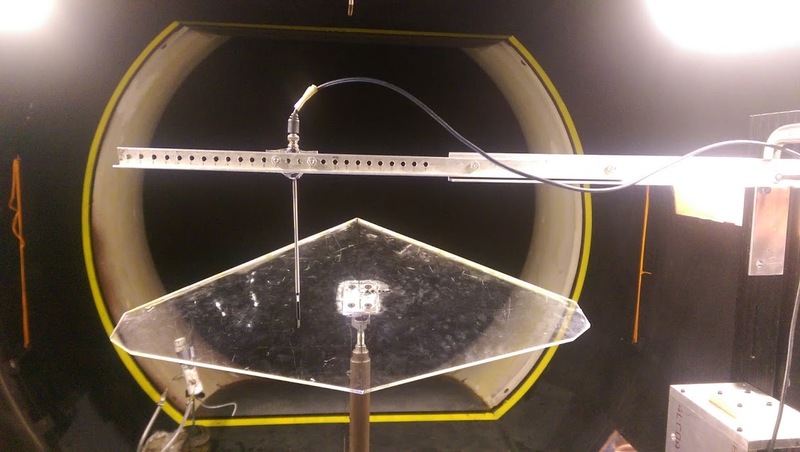 In Summer and Fall 2015, I studied the germination and evolution of centrifugal instabilities on the F22 planform. The interaction of a rotating conical flow with a solid surface generates a centrifugal instability. This occurs in the flow over the wings of low aspect ratio delta wing aircraft at high angles of attack. These structures were detected and their evolution studied using Hot-wire anemometry. © Vaibhav Kumar. 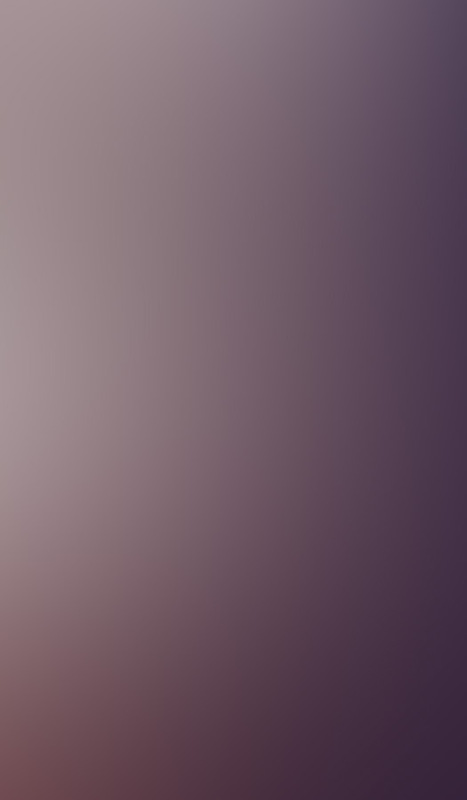 Design Attribution: HTML5 UP.